Jaipur: On Monday morning, Rajasthan chief minister Ashok Gehlot said he is open to talks with agitating members of the Gujjar community who are demanding reservation. By afternoon of the same day, he passes the buck to the Centre. 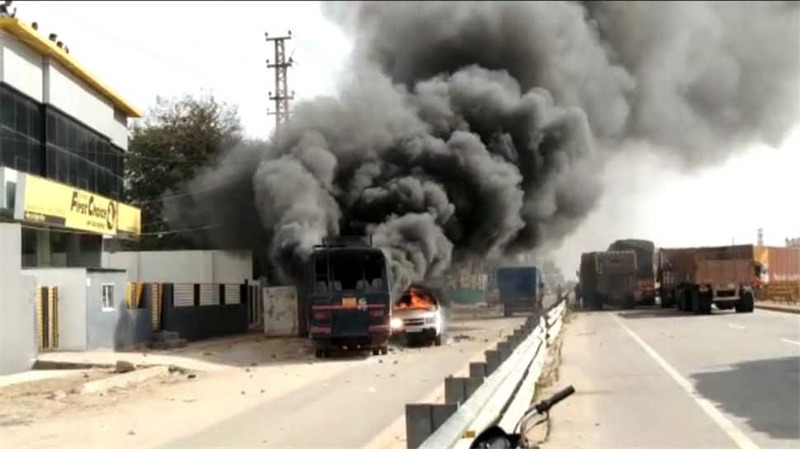 Protest from members of the Gujjar community turned violent on Monday with protestors clashing with security personnel. Four trains had been diverted and one had to be cancelled due to the unrest which saw Gujjar community members sitting on railway tracks as part of their agitation. While appealing for calm and order to be restored, Gehlot said that he is open to dialogue but a final decision has to be taken by the central government. “The (state) government is ready to help them. They need to voice out their demands to the Centre and it’s up to the Centre what decision they take,” he was quoted as saying by news agency ANI. The Gujjar community, however, is in no mood to relent unless their demand of five per cent reservation is met. “We will leave only after getting five per cent reservation. It’s my personal request to the government – don’t do anything which can provoke people of Rajasthan. People are waiting for my instructions. Let’s sort it out in a peaceful manner. The earlier the better,” said Gujjar leader Kirori Singh Bainsla. On-ground situation had worsened on Sunday when security personnel lobbed tear gas to disperse protestors near Dholpur. Local reports said that protestors had resorted to throwing stones at cops and their vehicles. Rail traffic, meanwhile, was severly affected – especially on the Mumbai-Delhi route. The Gujjar Aarakshan Sangharsh Samiti (GASS) launched agitation in the state on by blocking highways and traffic.